Take full advantage of our tile cleaning service to have perfectly looking and hygienic floors and walls. 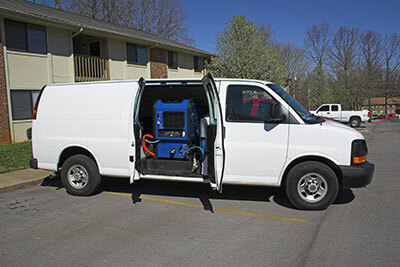 Our company has a professional solution for any kind of dirt problem. We work with all types of tiles from ceramic to stone and concrete ones. Both homeowners and businesses can use our services. Even the largest area will be cleaned swiftly. It is our goal to help you enjoy a safer and more pleasant indoor environment. Let us give you the excellent results that you are looking for! In case there is a specific problem, seek our help for its timely resolution. The earlier you act the better. We are experts in stain removal. Whether the stain is sticky or has penetrated into the tiles, it will be eliminated with care so that the condition of the surface is fully restored. Scale accumulated on bathroom tiles is removed equally effectively. If the kitchen tiles have gotten oil spots or splashes of sauce all over them, count on us to leave no trace of them. Extracting dirt and dust from the tiny pores of the tiles and from the grout is what we do best. Even with good regular care, the surfaces can still get dirty. We take care of every aspect, and that includes full grout cleaning. With our technologically advanced precision tools, it is possible to reach even the tightest of spaces including the edges of kitchen backsplashes and the corners between bathroom walls and the floor and ceiling respectively. The products used in our work have been specially selected for their potent effect and safety. They are safe for the natural environment as well as for people of all ages and house pets. At Carpet Cleaning Irvine, we care for our customers and for the planet as well. When mold has grown on the tiles and grout, let us remove it completely in little time. Our technician will first determine the type of mold that has grown to decide on the best product for its removal. The surface is treated until the fungus is eliminated completely. After the mold removal job is done, the ugly looking growths and the strange odor will be gone. The surface will be sanitized and the indoor space will be perfectly safe once again. With our residential and commercial tile cleaning solutions, floors and walls become beautiful once again. The surface will regain its original color. Forget about smudges and darker spots especially on the grout. If you have both tile and carpet flooring on your property, you can rely on us to clean both for the best possible results.